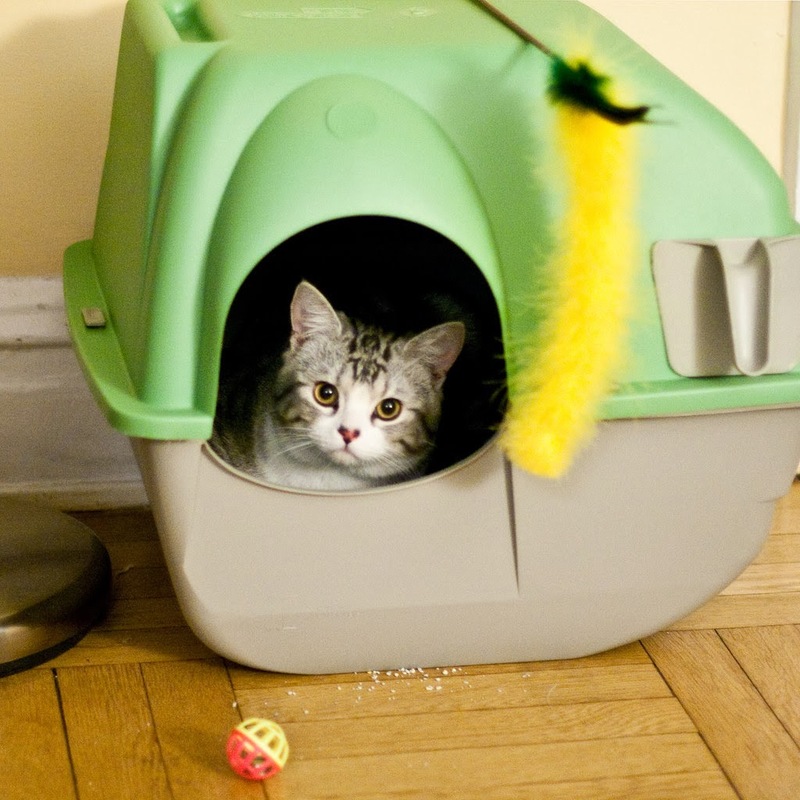 Did you know that 10% of indoor cats soil outside the Litter Box? but he uses it just fine at the shelter! Considering the millions of cats in this country, that is mucho accidentes--that's Spanish for "many accidents". To meow a number, nine million cats have litter box aversion. 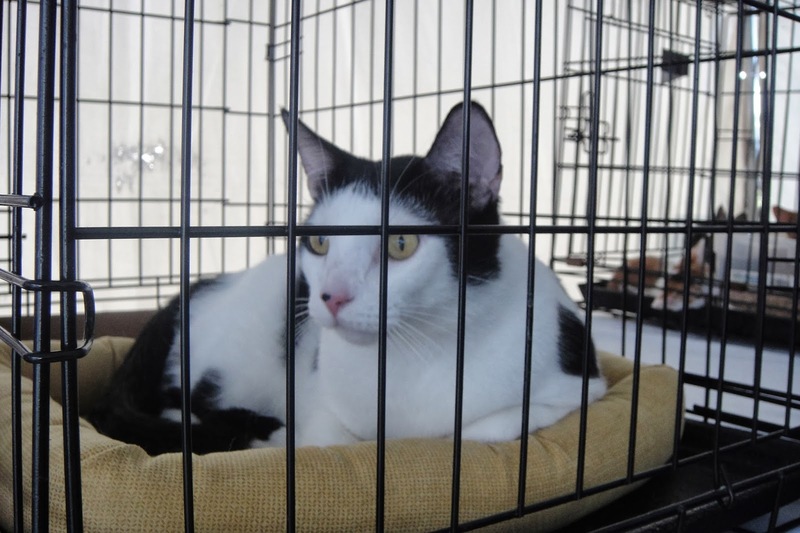 At Riverfront Cats, as a nonprofit dedicated to education and rescue, we hear a litany of reasons as to why cat guardians relinquish their cats due to behavioral issues. Inappropriate urination is the number one reason. But there is hope so less cats are surrendered at the local pound or abandoned outside due to litter box fear and end the litter brand shuffle. "Are these toys suppose to make litter box more fun?" We recently had the opportunity to participate in the interview process with cat expert, Dr. Bruce Elsey the creator of Precious Cat's Cat Attract Litter to ask him our burning questions about cats and litter boxes. In 1978, Dr. Elsey opened his first cat-only practice in the Denver metro area. His was the latest practice out of 13 in the entire country specific to cats. The science behind dog health was leap years ahead that of the feline species. 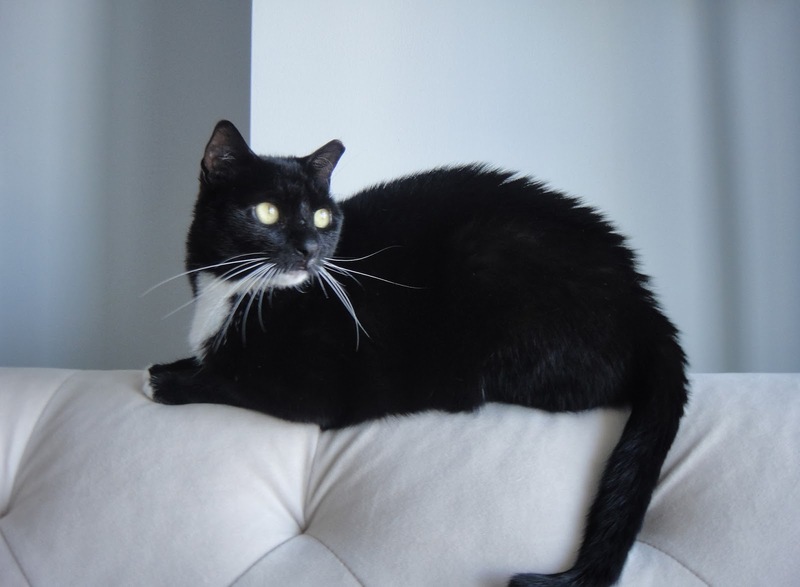 So without dogs in the waiting room, cats were more at ease and Dr. Elsey could focus his skills and contribute to advancing the science of cat health. Brillliant! First we learned there is a difference between marking territory and inappropriate elimination. According to Dr. Elsey, if the cat urinates in a line and does not turn around and sniff, then the cat is marking territory. Marking is a form of communication for cats to get their point across. These alpha cats will still use litter boxes. However if the cat forms a puddle, and turns to sniff, this is considered inappropriate urination, and likely a cause of litter aversion. 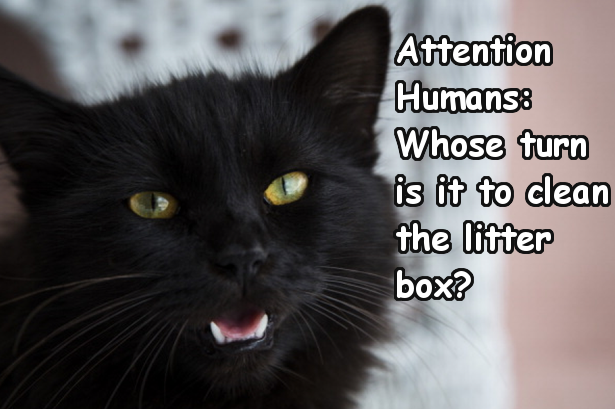 We once spotted blood in smaller-than-normal clumps when cleaning the litter box. A sign of blockage? But with six indoor cats, how to pinpoint which cat had a problem? We did not observe any behavior change nor did we plan to wait. Checking the bottoms of each cat, sure enough we found traces of blood on Geisha. We rushed her to the vet to rule out a medical problem. Looking at her, you would never know Geisha was ill. Cleaning the litter box more than once a day, indicated something was wrong. The number one reason to have blood in urine is interstitial cystitis. It’s more of a brain problem than a health issue and is brought on by stress. Those cats, 90% under 10 years old, will not have a urinary tract infection (bacterial). If you have a cat that has blood in its urine there is only a 10% chance that it has a bacterial infection. Interstitial cystitis is more stress related and the owner would have to work with the cat on behavior and work to change/enrich cat’s environment to change that. Part of that environment is to ensure optimal space, exercise, the number of cats and type of litter. In historic times, cats lived outdoors. As time evolves the outdoors pose greater dangers and it is encouraged to keep cats indoors. In doing so cat guardians have a responsibility to ensure cats have playtime to expend energy in the same way they used to roam as predators. So you have an argument with your spouse and send him to sleep in the dog house to reduce tension in the household. Well cats also need a place to escape the drama and unexpected noises and intrusions. Perches, ledges, and high places is a favorite retreat for cats. Playmates help with exercise and energy. But too many cats in a household also risk increases in household tension. Not everyone plays nice in the sandbox and multiple cats may lead to marking territory. So this leads to the question: what are ways to ensure cats use the INSIDE of the litter box? 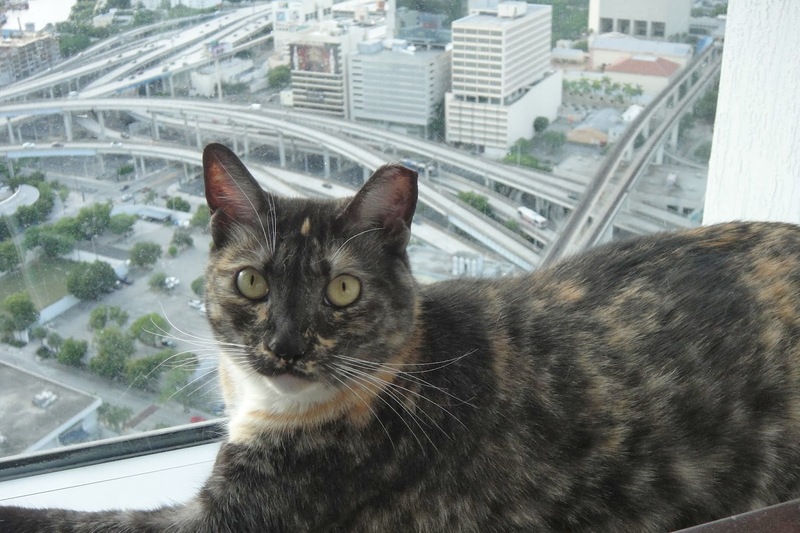 Real estate is prime in Miami and the same goes for cats and their litter boxes. Keep boxes away from high traffic areas, in quiet area, with room to move around so it's not too close to the neighbors. 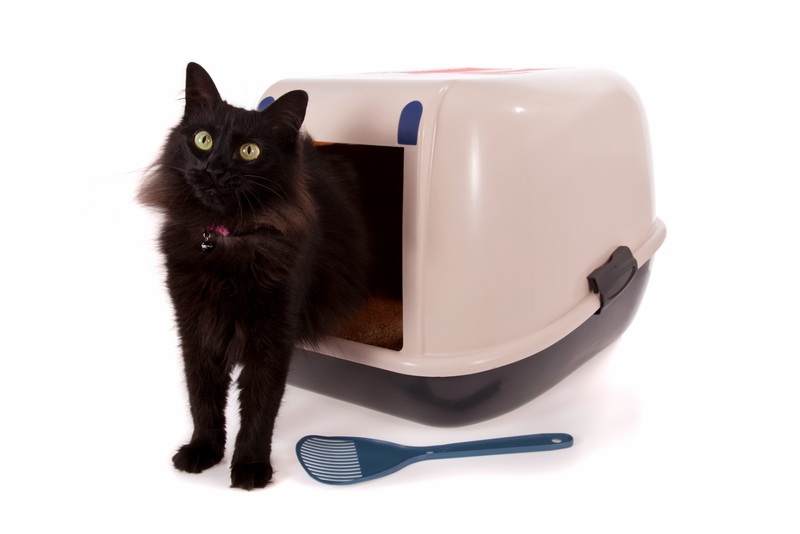 Most cat guardians have litter boxes that are too small for their cats. The rule of thumb is one and half times the length of your cat so the kitty has room to turn around and cover and reduce chance of stepping in their elimination. What if you flushed the toilet once a week? Need we continue with the image of the portable toilets from above? PLEASE clean the litter box daily, or hire a pet sitter and housekeeper. The rule of thumb is still the same. For every cat, get one litter box plus one extra box. You can get creative with boxes and hide them in ottomans, end tables and cut out holes in the back. This may even motivate you to clean the litter box more often. 6. Feed Cats Moist Food! There is a constant discussion about moist vs. dry and we have worked with many cats, both outdoor, indoor, rescue, adopted, abandoned... and talked to many vets. MOIST FOOD is beneficial. According to Dr. Elsey kidney compromise is the number one reason for demise in older cats. We've seen it too many times. Cats are in a chronic stage of dehydration their entire life when on dry food and that’s not conducive to normal kidney function. Consider a cat’s diet in the wild would be a mouse with a moisture content of 80%; canned food is 72-82% moisture, and dry food has a 10% moisture. Cats simply don’t drink enough water to make up for the moisture deficit and this can have an adverse impact on kidney function. And that leads back to urinary issues. If you follow the above steps religiously, then it's time to turn to your litter. Cats like a litter that is as close to sand as possible, from a texture standpoint. Using sand indoors isn’t an option because even though cats like it, it doesn’t absorb. So Dr. Elsey created a formula in fine particle size, with an herbal essence that is pleasing to cats and that also absorbs. The seven steps above will help reduce anxiety in your cat, lessen frustration for you and END the musical litter boxes and bring harmony and purrs and all around. Please share this link and help educate other cat owners and reduce the number of surrendered cats. It's all about education. This post is sponsored by Precious Cat on behalf of the BlogPaws Blogger Network . 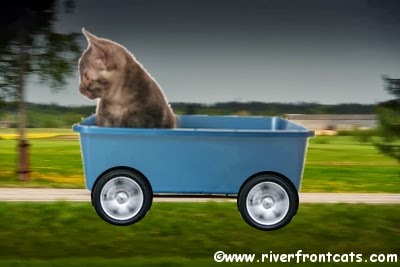 We are being compensated for helping spread the word about Precious Cat's Cat Attract formula, but Riverfront Cats only shares information we feel is relevant to our readers. Precious Cat is not responsible for the content of this article. Well now, you covered that quite nicely! Great post, Christine. There's some terrific (or should I say purrific?) advice here. It's so important for cat owners to know that there are solutions for cats that soil outside the litter box. It's heartbreaking to see a cat abandoned or surrendered because of litter box etiquette.